Hillary and Bill show the ghost of Jackie O around Arkansas' haunted Crescent Hotel. Even ghosts need a holiday break! 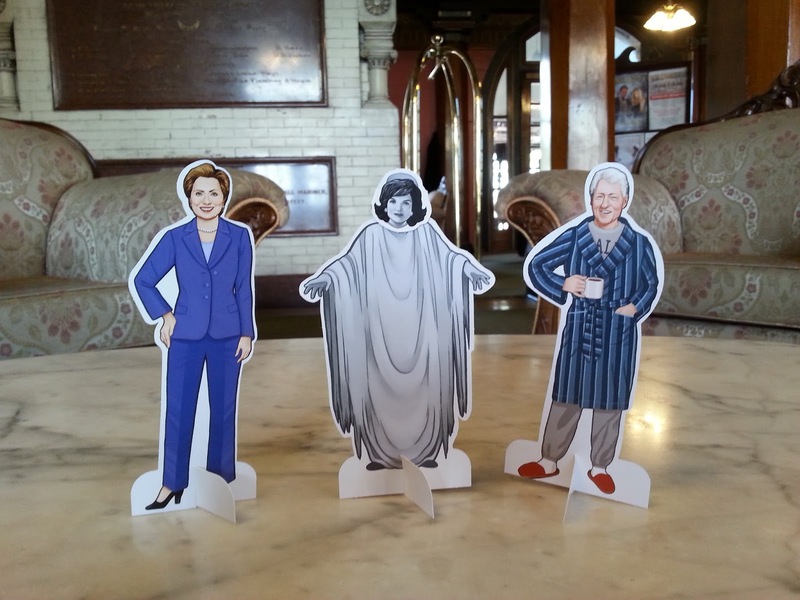 The Hillary Rodham Clinton Presidential Playset is available now from #Quirk Books, and it comes with backgrounds, more characters and lots of fun!